How to choose perfect size for a carport? A carport is an outdoor structure that is used to offer protection to vehicles from harsh elements of weather such as strong wind, rain, hailstorms and direct sunlight. Carports can be built attached to a wall or as stand-alone structures. As one of the prime investments for families, having a carport for your car protects it from damage as a result of the above agents and this allows you to benefit from it for a very long time. Other benefits of having a prefab carport installed at your residence other than protection from harsh elements include protection against vandalism and additional storage space. Metal Carports are among those structures that you only get to build once and this makes getting it right in terms of size and measurement very important. The right carport size ensures maximum protection for your vehicle and this goes a long way in protecting your investment. There are many challenges that arise when the consideration of carport size is handled lightly while carport installation that leads to inconvenience to you. 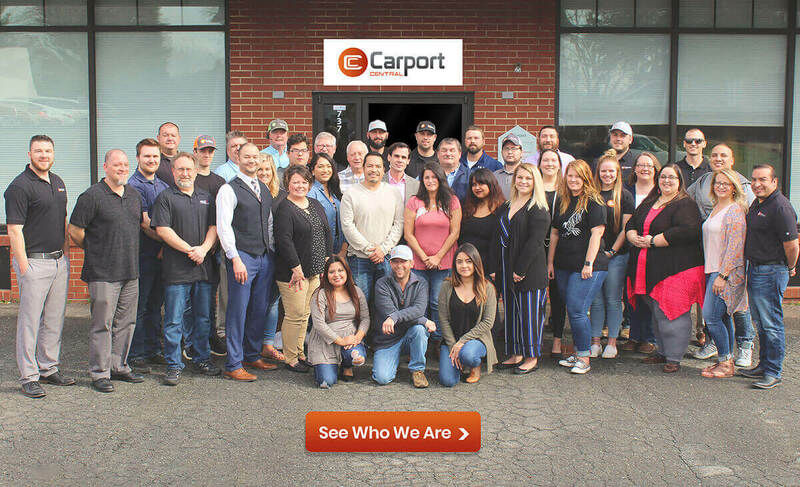 All that you need is carport expert’s advice to make this decision and get the most value from your perfect sized carport with real peace of mind. The type of your vehicle determines the dimensions of the carport that you can build. A one car carport can effectively accommodate a regular car or a small truck. However, if you feel that there is very little space to maneuver, then you should consider installing a wider carport. If you own large vehicles such as heavy-duty trucks, RVs, and trailers, you should consider a double or triple carport for effective accommodation. Another issue that affects the size of the carport that you can install at your premises is the number of cars that you intend to accommodate within the carport. If you intend to house more than one car then you should consider having a bigger carport installed. A key consideration, in this case, is the space between the vehicles. There should be enough space between the vehicles such that the doors to each car can be opened freely without hitting or touching the other vehicle. Two small cars would fit perfectly in a double carport without the doors bumping when open. The best way to determine the best carport size for your cars is to park them adjust to each other while leaving enough space to open the doors. Measure the distance across the two cars and 6’ to that figure. This is the right carport size to house your cars. Three mid-sized cars would fit perfectly in a triple carport measuring 26 feet. However, to fit three ford or Chevy trucks, you need a width of 30′. These carports are the widest residential units. Though Carport Central can build carports up to 70 feet wide, we suggest you choose a 30 wide carport for three trucks. The good thing is that you can choose the leg height of your carport or building to get more clearance for taller trucks or other toys such as boats. The height of your vehicle is another aspect that affects the size of your carport. Proper height consideration ensures that there is enough clearance for your vehicle. Standard height measurement for most carports is 12 feet and most regular-sized vehicles can be accommodated effectively in a carport with such a height dimension. However, if you own a large vehicle such as a truck or an RV that’s slightly elongated at its mid-point, you’d be wise to consider building your carport slightly taller. This prevents your vehicle from getting damaged as a result of coming into contact with the carport roof. If you intend to use your carport primarily to accommodate your vehicle, then the above-mentioned guidelines are sufficient. 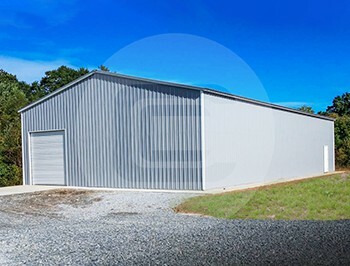 However, if you intend to use your carport to accommodate other things such as farm equipment, boats alongside your car or any specific application you should consider having farm storage buildings, boat carports, RV covers, utility carports or any custom carports. 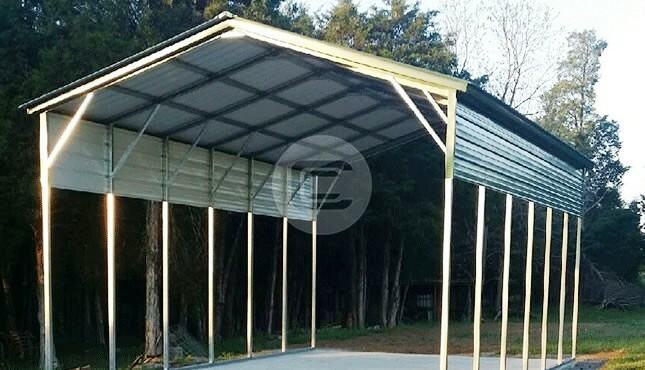 There is a wide variety of different types of carports available with ample customization options to fulfill your needs. If you intent on increasing the size of your fleet or upgrading to a larger car model, then you should build your carport with these considerations in mind. This saves you the hassle of having to pull down your “tiny” carport and build a bigger one to accommodate your larger fleet or larger vehicle. Physically measure the size of your vehicle(s) front to back, its vertical elongation and from side to side to determine accurate carport dimensions. Constructing a carport of the right size helps you save money since you will be able to avoid unnecessary expenditure on extra metal and roofing material. As metal carport size increases so does the cost of building a carport. Should you build a carport larger in size than what is needed for your car(s), your expenditure on building material increases and this raises your budget. All these factors make installing a carport very important. As one of the leading suppliers of metal buildings in the US, Carport Central has all the carport sizes for you to choose from. Our team of professional builders and craftsmen are on standby to help you pick the right carport for your car and carry out the installation at a fair rate. Our building experts are available to advise you on how to determine the right size for your carport. Call us now at 980-321-9898 and let our experts help you design the best carport for your home. Our rates are affordable and you get to enjoy a one-year craftsmanship warranty as well as our comprehensive cover for cracking and rust. This is our guarantee to you. A guarantee of quality service and excellence in line with the industry guidelines and regulations. Carport Central. Your caring partner in metal building and construction! !